Made in Hawaii with care and craftsmanship. I am a fan of history. I believe in working within established design traditions that are built upon centuries of research. 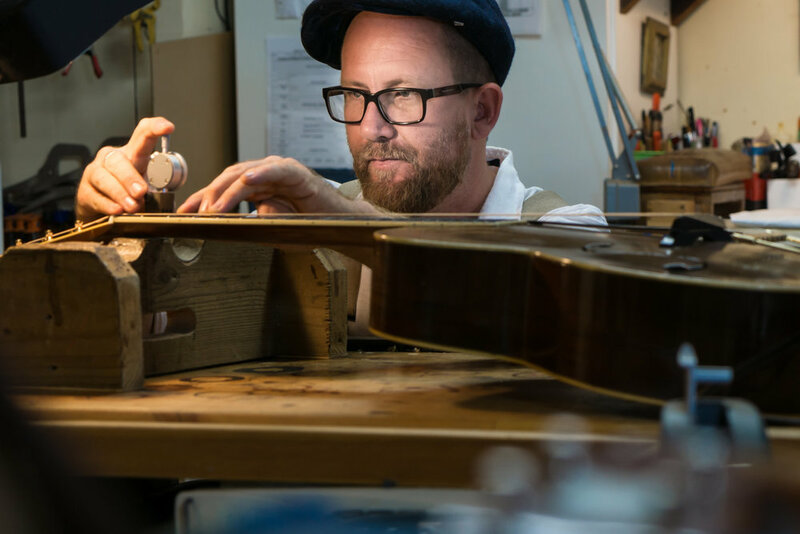 Purposeful refinements have been made over the years by the the world's greatest luthiers. Additionally, there have been historically dark times—when profit was prioritized above all else and mistakes were made mainstream by the ill-informed. As a modern luthier, working in an amazing age of instrument making , I am in a unique position to draw from or reject the best and worst that has come before me. 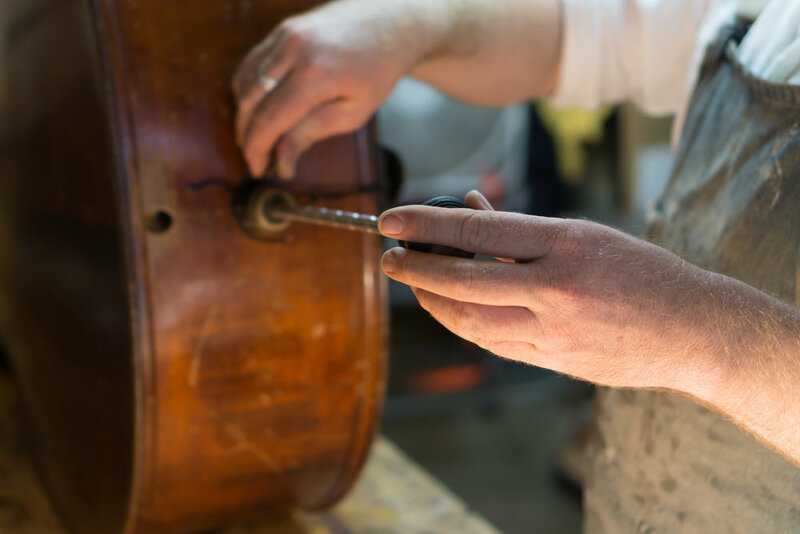 I am a devoted student of Western luthiery traditions, from the 18th century Italian bowed violin family of instruments, to the work of 19th and 20th century American visionaries like C.F. Martin and Orville Gibson. Living and working in Hawaii inspires me to create historically informed innovative instruments that I sincerely hope will inspire and encourage musicians of all ages to truly enjoy the magic of music. Interested in a custom instrument? While I'm currently full and not taking new custom projects at this time, I would be happy to send you a note when a spot on my waitlist opens. Please know—joining my waitlist does not obligate you. I'll simply be in touch when a spot opens. I will be in touch when a spot on my wait list opens. Choosing which tonewoods to build with creates the character and foundation every note will be built upon. We might consider it similar to selecting the fabric to make a sail for a fine sailboat. We could use the finest silk, or the roughest canvas, both would have their characteristic strengths and weaknesses. Density and weight determine how the air will resonate and move in, through and around the sail, or in this case the soundboard, back, sides and neck of the instrument. Luthiers today have an unprecedented variety of tonewoods to choose from. 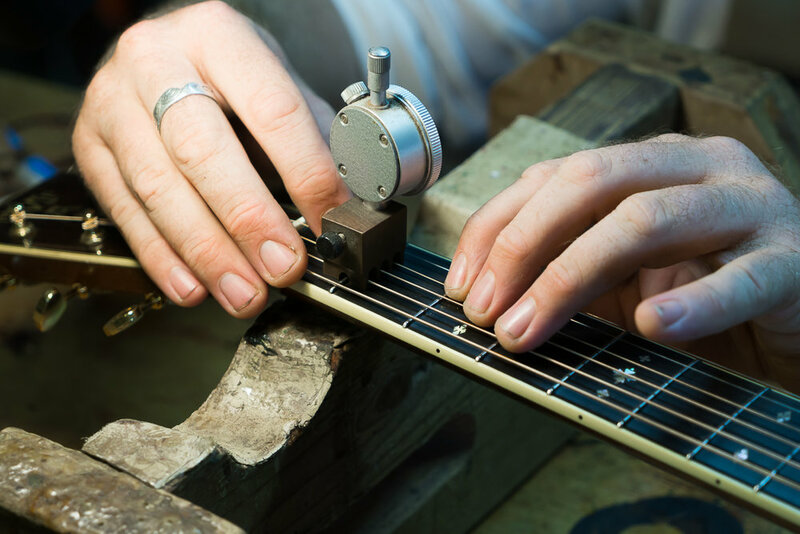 The time honored choices of mahogany, maple, rosewood, spruce and cedar have been used extensively and one could say they create the standards we all use in judging an instruments tone and voice. 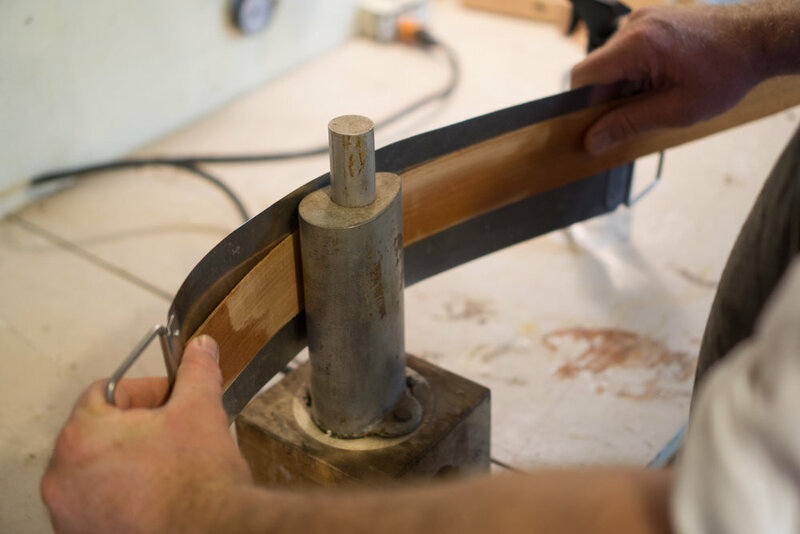 Engaging in a dialogue between builder and player is perhaps the single most important part of the process in commissioning a custom instrument. Designing the color and character of an instruments voice, made specifically to match the players imagination is the magic of the luthiers work. All works of art, like all living creatures in order to survive the ravages of our earths climate must have a protective membrane that embraces and protects our form, in the animal world we call it skin, in luthiery we call it “Varnish”, or “Finish”. It is indeed the “Finishing touch” the “Icing on the cake”, the final step. I still practice the traditional methods of finish making and application refined in the 18th and 19th centuries in the centers of European Luthiery. Historically varnish makers used a variety of botanical resins derived from various saps in a medium of oil or alcohol to make the finishes used in the preservation of paintings, and stringed instruments. I have always found a certain beauty in the continuity of this method in which it is the blood of the tree itself that ultimately coats and protects the woods of the instrument. In modern times and specifically in the fretted instrument world the preference has moved towards durability and glossiness, qualities that most turn to modern industrial lacquers to achieve. I prefer to suit the finish to the desires of the person playing the instrument, and aim through dialogue to arrive at a finish choice to accentuate the natural beauty of the woods, maintain maximum resonance and protect the instrument for many years to come.